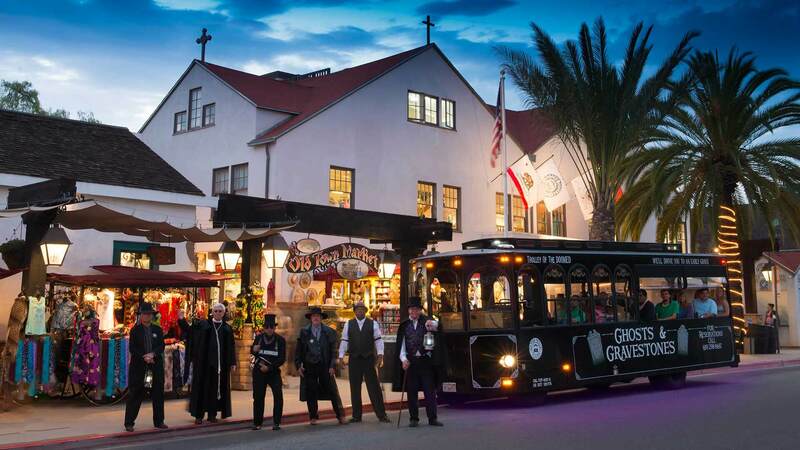 On your next San Diego vacation, after visiting the must see attractions like Balboa Park, the San Diego Zoo, the Gaslamp Quarter and all the amazing museums, why not take a detour to the darker side of the city? While most know of the beauty of San Diego, its mild climate and abundant culture, many people aren’t aware of its haunted reputation. Check out the Most Haunted Places in San Diego and discover for yourself why America’s Finest City is also one of the nation’s most haunted. Built in 1850 by William Heath Davis, this historic house is the oldest structure in what is now downtown San Diego. The house has a colorful past and was lived in by many except ironically Davis himself. Among the ancient structure’s residents were Alonzo Horton, the founder of San Diego, and his wife Sarah, a German Spy and others who not only left their mark on its reputation, but are also believed to still be lingering about. The abundance of paranormal activity in the building may also be attributed to the numerous deaths that occurred during the ten years it served as a hospital. One of the home’s most well known spirits is that of an unknown Victorian woman, who has appeared many times in front of visitors. A couple wearing period clothing has also been spotted at the top of the narrow staircase – she in a long white evening gown and he in a suit. Lights have been known to turn off and back on again – even when the house was not yet wired for electricity and only used gas or coal oil lamps. Strange and unexplained events still occur often when no one is there. Each evening the interior lights are turned off before the security alarm is set, yet many mornings a light in a back room is found back on. Are the stories and apparitions real? Make a visit to the William Heath Davis House and find out. 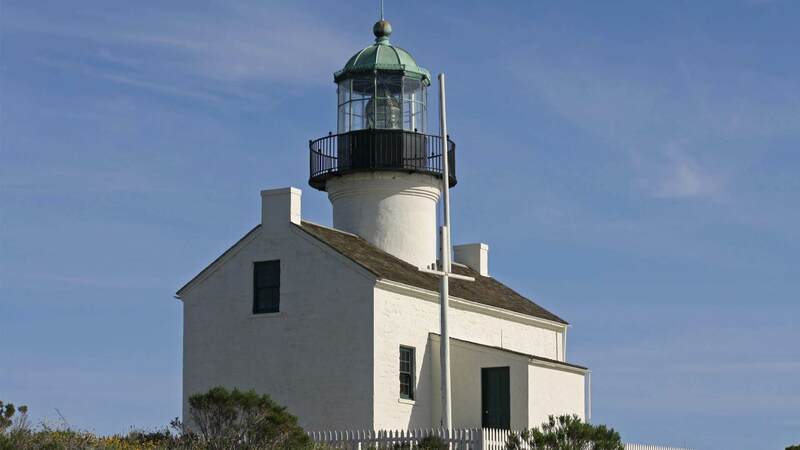 Still standing more than 200 years after its construction, the Old Point Loma Lighthouse is a stirring symbol of an era gone by. It was November 15, 1855 when the light keeper first climbed to the top of the long, winding staircase to light the light that would guide the ships entering the San Diego Bay. It served the city for 36 years until a better location that was not obstructed by low-lying clouds and fog was discovered. Today, visitors can tour the historic lighthouse and learn about its marvelous past. But beware – many who have visited got much more than they bargained for. Sounds of heavy footsteps coming from upper rooms, cold spots at the entry landing to the spiral staircase, moaning, heavy breathing and that spine chilling sensation that someone is standing right behind you – even if no one is there, have been reported. Many believe the spirit of the famed Spanish explorer Juan Rodriguez Cabrillo lives here, waiting to transition to the other side. Others say that the lighthouse’s final light keeper, Captain Robert Decatur Israel returned after his death, watching over his beloved lighthouse and keeping his eye on all who venture inside. 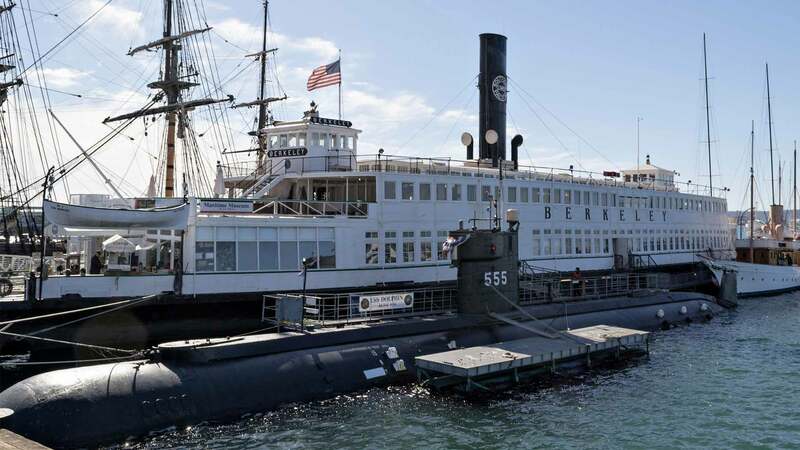 Home to the San Diego Maritime Museum’s offices, library and special events venue, the Berkeley Ferry Boat operated in the San Francisco Bay area in the late 1800’s carrying nearly 2000 passengers at a time. The boat, like many vessels from that time period, has a fascinating history and a long list of intriguing events and guests. Those who’ve worked on the boat have reported an encounter with an apparition that appears to be a man wearing a fedora. Some believe it is the spirit of John O Norbom who died in 1911 in a fiery explosion that also injured 5 others onboard. But others suspect it is someone else, a dearly departed guest who wishes to go back onboard the boat over and over. 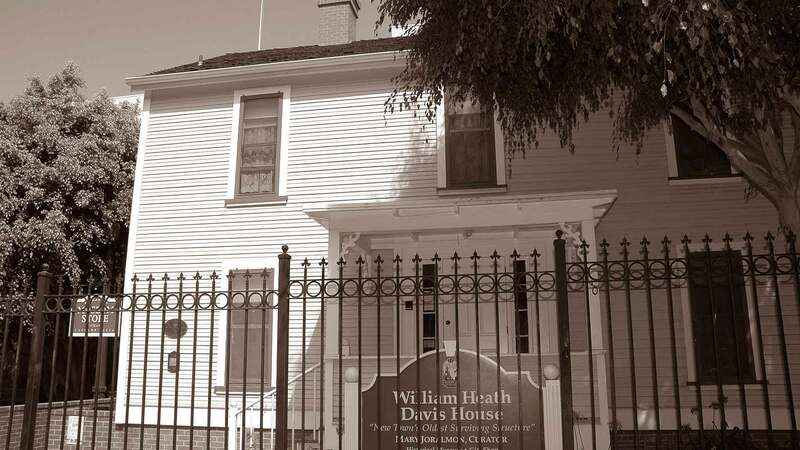 Any discussion about haunted San Diego would not be complete without mentioning the Whaley House. It is known as America’s #1 Most Haunted House and for good reason. The beautiful mansion has a dark past riddled with death, suicide and mystery. One of the more popular San Diego attractions, the Whaley House is visited by thousands of tourists each year, many who know nothing of the ghosts that inhabit its hallways, bedrooms and staircases. They come to see the San Diego icon because of its historical significance — it was once the city’s courthouse, San Diego’s first commercial theater, a general store and more. But for those with an interest in poltergeist activity, it is a must visit. While several spirits are regularly seen, one is thought to be the lovely Violet Whaley, who killed herself after being ostracized by society for her divorce. Depressed and humiliated, the Whaley’s 22 year-old daughter shot herself in the chest with her father’s gun. Other ghosts include Yankee Jim Robinson who was convicted of grand larceny and hanged on the site where the house now stands, Thomas Whaley and his wife Anna. 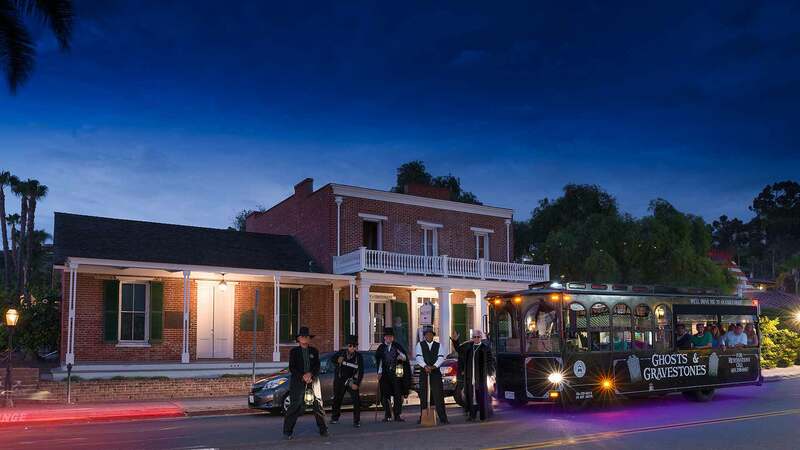 Unexplained sounds, mists and shadows and more unusual events continually occur at the Whaley House, drawing in visits from ghost hunters across the world. The Horton Grand Hotel is the restoration of two separate hotels, The Grand Horton Hotel and the Brooklyn Kahle Saddlery Hotel that were built in two different locations in 1886. After both hotels were slated for demolition in the 1970’s, they were purchased from the City of San Diego for $1.00 each. Each hotel was then dismantled brick by brick and all the pieces subsequently went into storage until the new Horton Grand Hotel was rebuilt and reopened in 1986. Today, the magnificent hotel once again has its original elegance and much of its original features including the oak grand staircase that was 100-years old at the time of the deconstruction. Several of the hotels’ early guests are also here—they continue to overstay their welcome. One such haunt is that of Roger Whittaker, a cheating gambler who after being shot sought refuge by hiding inside an armoire in room #309. His creditors found him and shot him to death, but to this day he still resides in room #309. Accounts of paranormal activity include the lights flickering on and off, the armoire doors opening and closing in the middle of the night, the bed shaking, misty glows and footsteps in the night. 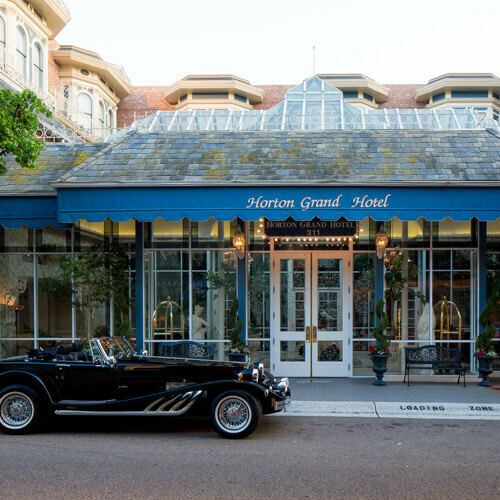 Other apparitions and inexplicable sensations have been witnessed at the Horton Grand; are they real or imaginary? You be the judge. The city of San Diego has a wonderful history that is evident throughout the many beautiful sights and attractions. Next time you’re in town, go on your own ghost hunting expedition to some of the area’s top haunted locations. It’s a supernatural good time for paranormal enthusiasts!